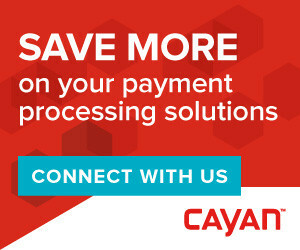 Most review readers usually want to get to the “punch line” quickly, so for those considering Cayan (formerly known as Merchant Warehouse), go no further and accept that this firm is consistently one of the leading merchant account providers in the business, based on client testimonials and a variety of ISO/MSP review sites on the Internet. The company prides itself on its longevity, founded in 1998, and has differentiated itself from the competition with stellar customer service. Cayan is a breath of fresh air in an industry known more for its compliance fee trickery and hidden cost surprises. Their focus is on providing each merchant with the best service and the lowest overall costs – no hidden fees and full transparency. They accomplish this objective with a highly trained sales staff that focuses on providing the right processing setup for each merchant, based on individual needs and unique characteristics. They maintain an “A+” rating with the Better Business Bureau. Customer and Technical Support is an in-house service and never outsourced, a rarity in this industry. There are no minimum transaction levels or volume commitments that must be made, and contracts are month-to-month with no cancellation or termination fees, another rarity that is also documented in writing in your service agreement. Cayan.com has been in business since 1998, and in those 13 years, over 100,000 merchants have been serviced. The firm competes on cost and supports this claim with a “Low-cost guarantee” that if any of their competitors offers lower overall processing costs in writing that the Company cannot match or beat, than they will pay a $100 bonus. They were the Electronic Transactions Association 2009 ISO of the year, as well as Business Solutions’ Best Channel Vendor for 2009, 2010, and 2011. Lastly, the firm was awarded the prestigious 2011 “Stevie Award” for Outstanding Sales & Customer Service. Update! Cayan’s newest technology – The Genius is an adaptable payment acceptance solution that allows the user to flow with the ever demanding changes of the payment processing systems of today and into the future. Cayan also has a 99% application approval rate, easily the highest in the industry, and no application fee is required. No waiting either, since applications are turned around in a “24-hour” time period or you are promised direct contact within that period if any questions arise. Cayan’s specialty is a Retail Merchant Account, including restaurant and hotels, Internet merchant accounts, Mail/Telephone Order, and Wireless/Mobile merchant accounts, as well as offering excellent options for small start-ups and home based businesses. All major cards are accepted, and direct banking relationships are spread between major banking entities, including U.S. Bank, Wells Fargo, HSBC, and others. It is rare to find a stellar merchant account processing company that has stood the test of time and has not been gobbled up by some larger processing consortium where good customer service is a thing of the past. Cayan is truly the exception to the rule in this regard with its longevity in the industry, low fees, month-to-month contracts, excellent reputation, satisfied customers, and in-house, professional customer support. Visit Cayan now!